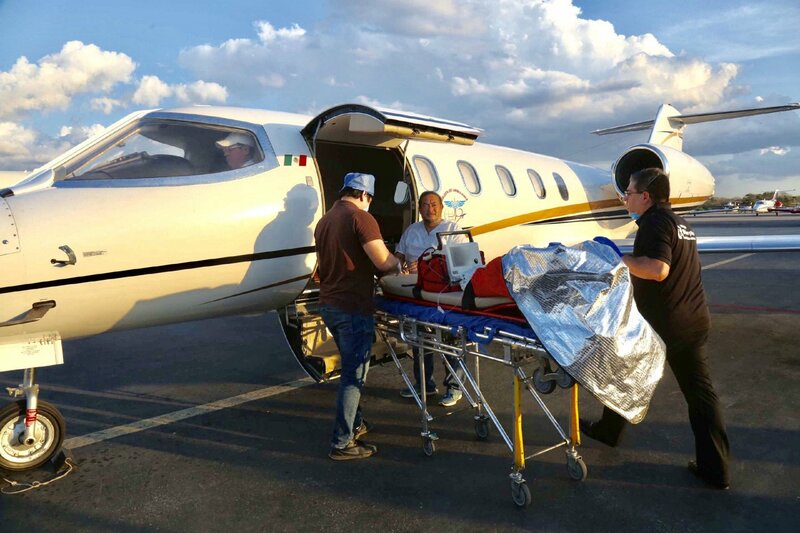 A 3 year-old child from the municipality of Tecoh, Yucatán, was taken to the Shriners Hospital for Children of Galveston, Texas, in the United States, to be treated for second and third degree burns suffered on January 16 due to an accident. By order of Governor Mauricio Vila Dosal, professionals from the area of ​​Pediatrics of the “Agustín O’Horán”Hospital of the State Health Secretariat (SSY), were in charge of coordinating the tasks to send the patient in an air ambulance, along with his mother, to the hospital where he will receive specialized medical attention. The air ambulance with license plate XA-UUW, arrived at the international airport of this city “Manuel Crescencio Rejón” for the transfer, and left around 17:15 hours on Saturday January 19th. During the trip, the child was assisted by medical and paramedical personnel specialized in burns of Mexico’s Michou and Mau Foundation. On behalf of the state governor, the State Secretary of Health Mauricio Sauri Vivas, supervised and coordinated the whole operation to provide the child and his family with the specialized support they required. In this regard, the official explained that since he had knowledge of the case, the Governor has been following up the evolution of the child’s health. In this sense, Sauri Vivas highlighted the humanism of the medical and nursing staff of the Pediatrics area of ​​the “Agustín O’Horán” hospital, as well as the support provided by the Administration of the Patrimony of Public Welfare of the State of Yucatán (Asociación para el bienestar público del estado de Yucatán: APBPY) for these purposes.